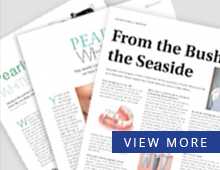 If you are missing any of your natural teeth, implant dentistry can provide you with teeth that look and feel like your very own. Permanent replacement teeth can be yours without the embarrassment of loose dentures or having to prepare into other healthy teeth. Implants will enable you to enjoy the simple pleasures of unrestricted eating. With dental implants you can have the confidence to pursue an active business and social life. 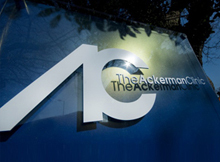 Here at The Ackerman Clinic our team of experts combine their knowledge to give our patients the best possible solution. The All-On-4 treatment concept replaces your missing teeth with a full dental bridge supported by only four dental implants. Not only that, but due to our close collaboration with our expert restorative dentist you can leave the surgery on the day of your implant placements with a full temporary bridge. Mostly, after 12 weeks healing time we can place your final bridge. A cost effective solution. Your replacement teeth only require four implants for each jaw. With fewer implants required, the cost is lowered. Faster treatment and healing time. Your replacement temporary arch can be attached to your implants immediately. Scientifically proven and well documented. All-On-4 is supported by good clinical outcomes from studies in which four implants have been inserted to support a full replacement arch. The angled implants have been used in clinical practice for over a decade with favourable results. 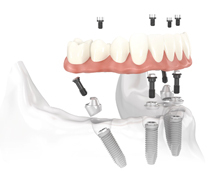 In certain cases 6 implants will be necessary to maintain stability and is case specific. This will be discussed in full at the time of your consultation. Removable implant over dentures that support removable dentures. No more denture adhesives necessary. This is a very cost effective solution.